The new Acura MDX is for sale near Las Vegas right now at Findlay Acura. Praised for its excellent handling and many features by U.S. News. Each of the Acura MDX trims offers drivers strong performance along with a comfortable and connected interior. Additionally, with the Acura MDX, North Las Vegas drivers can enjoy several Acura MDX Packages, including the Technology Package, Entertainment Package, and Advance Package. Browse our current inventory of new Acura MDX models online, then visit our dealership in Henderson for a test drive! 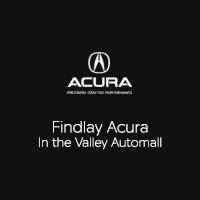 Get a New Acura MDX Near Las Vegas at Findlay Acura! You’ll find a variety of Acura MDX financing and lease options at Findlay Acura. Get a sense of what your payments will be with our HYPERLINK “https://www.findlayacura.com” online payment calculator. After you value your trade, you can meet with one of our financing expects to help you with the next steps! While you’re here, check out our comparison between the Acura RDX and the Honda Pilot or learn more about the Acura MDX towing capacity.